Here's how to get rid of wrinkles (and no, it's not Botox). 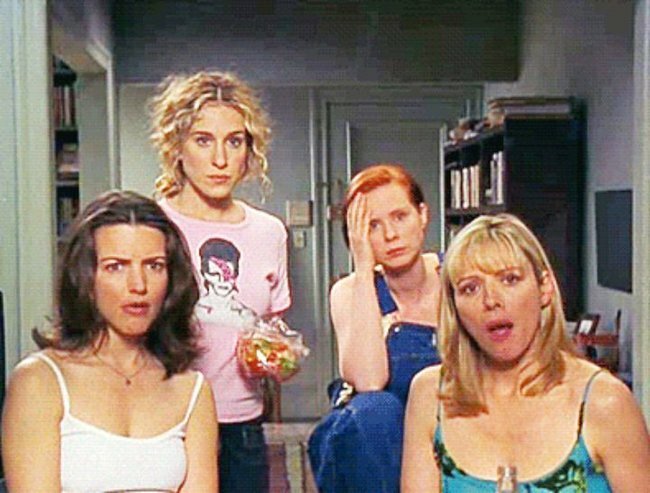 So, can anything actually be done about wrinkles? I’ll admit it, there was more I could have done growing up in the Sunshine State to avoid wrinkles. But let’s face it, at 21, it wasn’t exactly top of my agenda. Nor was drinking more water or making sure my food was full of antioxidants. Do you know why? Because I didn’t ever imagine that one day I’d be anything less than the bronzed beach beauty I was at the time. Fast forward 20 years and I realise that not only am I not immortal, I was actually a little careless. And it wasn’t until a blunt friend of mine pointed out the “line across your forehead” a few years back that I was aware of the fine lines at all. On closer inspection, they weren’t so “fine” at all, and I realised I needed to take action. Mamamia writer Bern. Image: supplied. As a consequence, over the years I’ve invested quite a lot of money in my face, getting sucked into the latest “marvellous” eye creams and serums. I’ve taken to slathering sunscreen on all year round. I’ve used masks, undergone expensive facials and even tried microdermabrasion, all with very limited results. I&apos;d got to the point where I&apos;d almost given up...and then I tried something new. And guess what? This time, I got results. No, I’m not going to pretend that it made me look 16 again, but I noticed a definite improvement in my finer lines and deep creases. The best thing about this is that it can be added to my current skin regime to boost cell metabolism and renewal. Want to know what it is? Actually, I should rephrase that because it’s actually a duo. 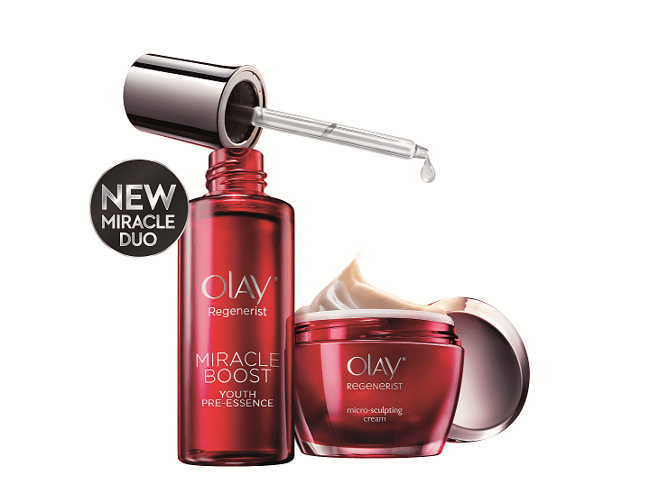 It’s Olay Regenerist Miracle Boost Youth Pre-Essence and Olay Regenerist Micro-Sculpting Cream. I’ve been using the two of these for six weeks now; they claim it is meant to boost the renewal of surface cells and provide two times more anti-aging active penetration into my skin. Like me, you probably recognise Olay from when your own mother was using the product, way back when; but now, with over 10 years of research involving more than 100 Olay scientists who have conducted more than 50,000 hours of clinical testing, I can tell you, it is better than ever. Writer Bern with her daughter. Image: supplied. I turned 40 recently and had been using the two products in combination as a prelude to returning to my hometown for a party and not wanting to feel as old as I was about to become. I was complimented regularly by family members and strangers on how young I looked. Perhaps they were being kind, but I can honestly only put it down to using this product in the lead up. I had been searching for something that would leave my skin well hydrated, smooth and with a supple feel and by using the Olay Regenerist Miracle Duo, I watched as it visibly reduced my fine lines, pores and firmed up my skin. I have to say, after visiting with friends and family who I haven’t seen in a quite a while, I was walking on air. To be complimented really boosted my confidence. I left thinking that this whole being 40 thing wasn’t so bad, after all. What&apos;s your top skin care tip? 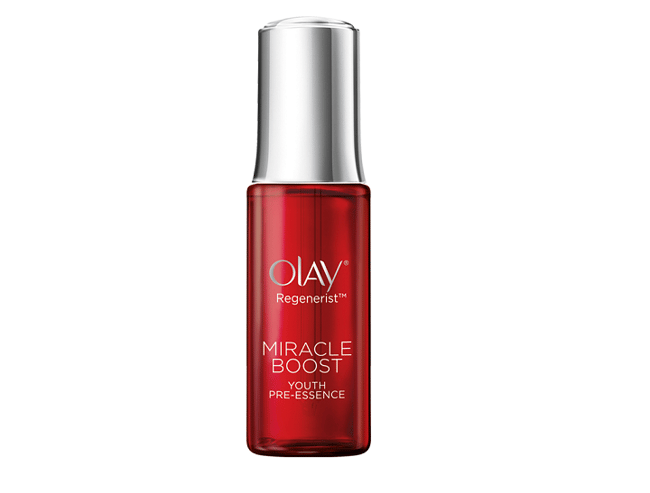 The NEW Olay Regenerist Miracle Duo.A Pre-essence and a cream designed to work together to give you skin that looks up to 10 years younger. New Regenerist Miracle Boost Youth Pre-Essence.The first drop starts the renewal of a million cells. Contains Peptides, Niacinamide and Olivem in a lightweight fast-absorbing formula. 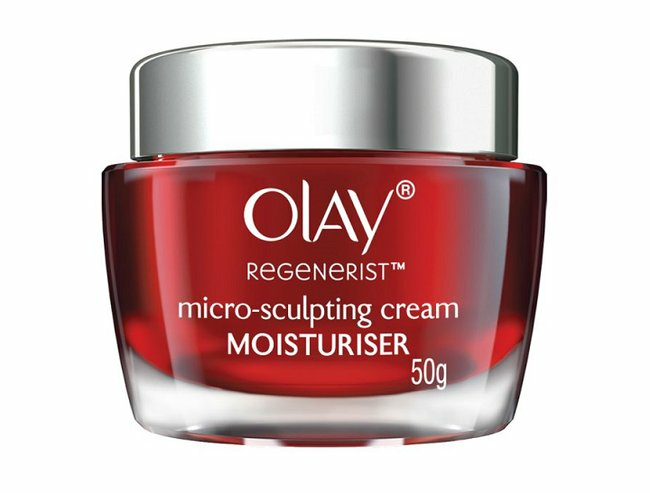 Olay Regenerist Micro-Sculpting Cream.The cream that has it all: Niacinamide, Olivem, Peptides, Lyslastine and Hyaluronic Acid for dramatically younger-looking skin. 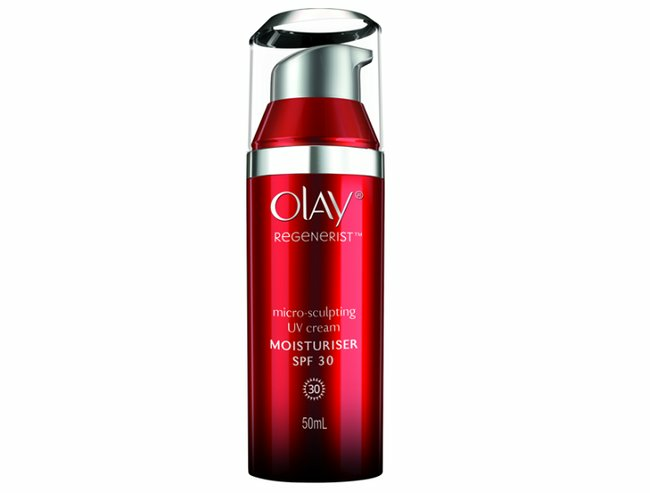 Olay Regenerist Micro-Sculpting Cream.Accelerates cell renewal for reduction of lines and wrinkles, while also protecting against harmful UVA/UVB rays. 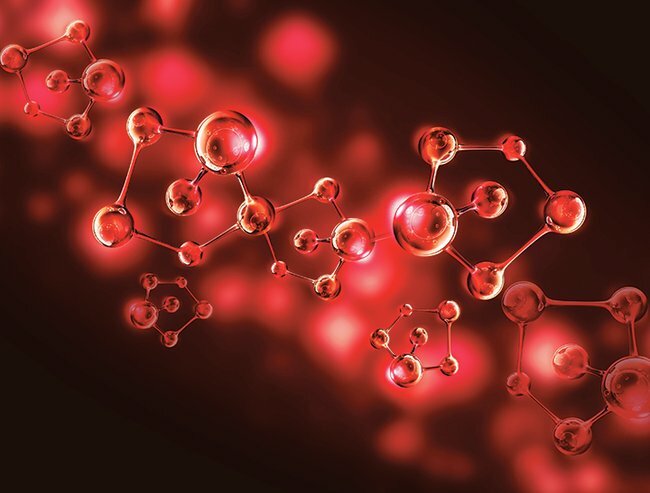 Amino Peptides.Pro-collagen molecules that help repair skin and reduce lines & wrinkles. 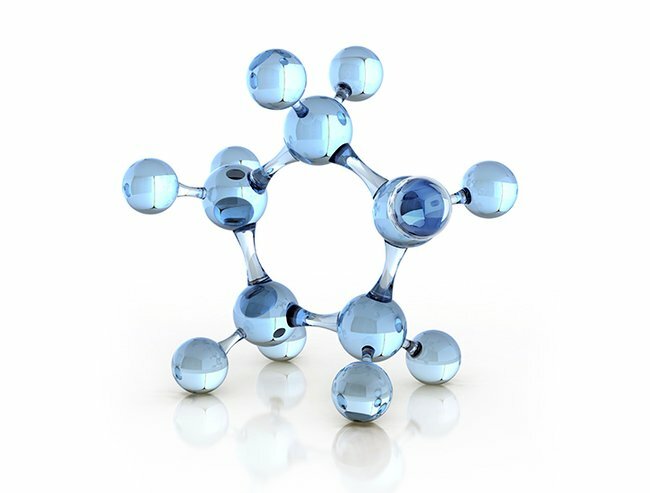 Hyaluronic Acid.Intense hydration for plump skin. 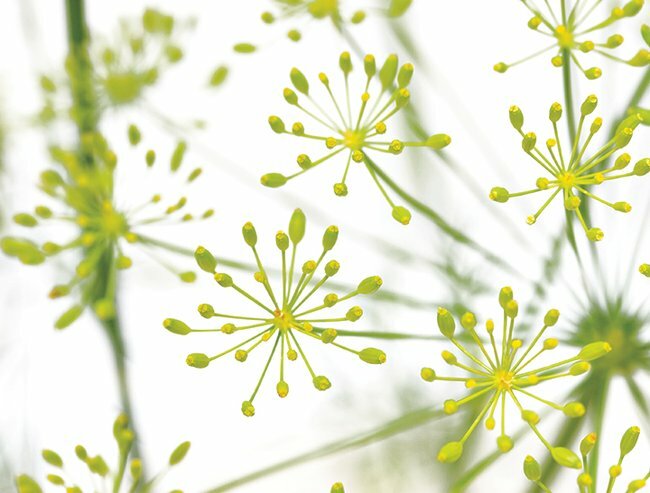 Dill Flower Macro.Dill Seed extract that enhances skins elasticity. 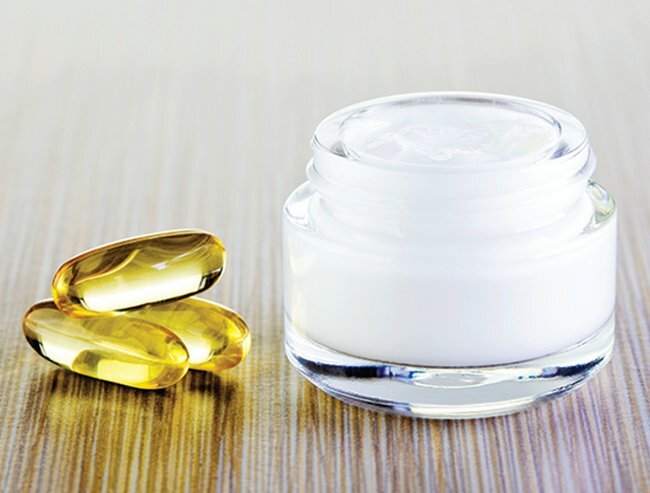 Niacinamide (Vitamin B3).Accelerates the renewal of surface cells and reduces wrinkles. 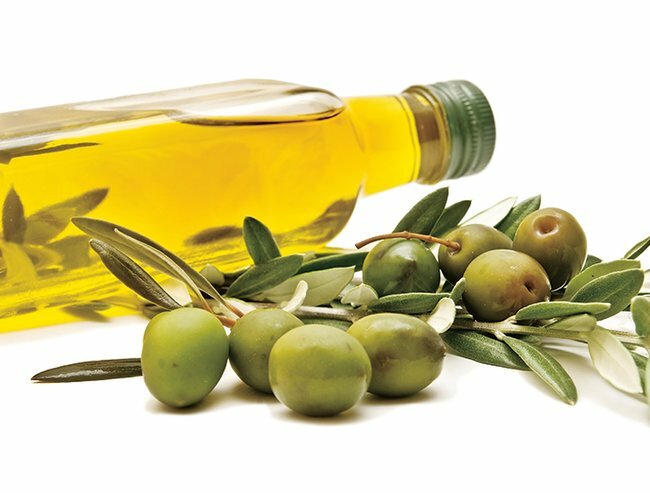 Olivem.Antioxidant from Olives that helps protect skin from free radical damage. Georgie Gardner reminds us why we need to get skin checks. Science shows why some people age three times faster than others.